I no longer build thermoelectric cloud chamber like you see in the video in this page (I started them in 2010). Thermoelectric technology don’t permit to have big interaction surface (at most 16 x 8 cm) . 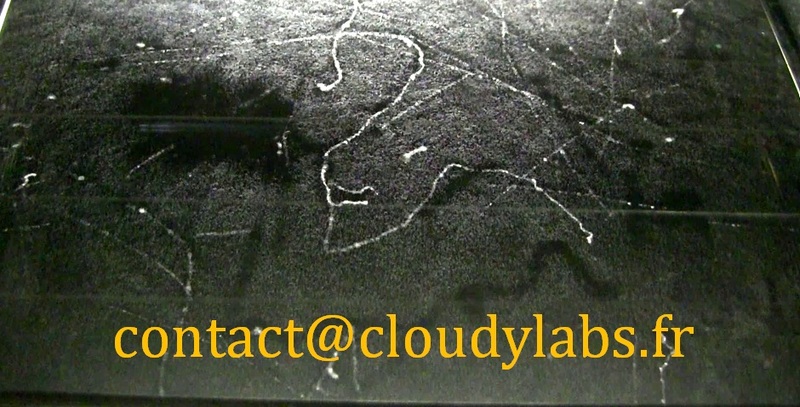 Now I build cloud chamber using compressor and gas (like a fridge), and after 3 years of researchs, I finally obtained good results regarding the quality of tracks. Overall dimensions are 35 x 47 cm (not far from an A3 sheet size), and the height is about 60 cm including wheels (the 1,5 L water bottle give the scale). The active area is 32×18 cm. Weight is about 30-35 kg but I’m working on this to reduce weight. It works for hours without assistance, and the machine display particles about 20 to 30 min after power up. This one contain a NdFeB magnet which easily deflect light particles. You can see that in the video below, when electrons make spirals. The magnet is only 3 cm away from the surface so the magnetic field is high. 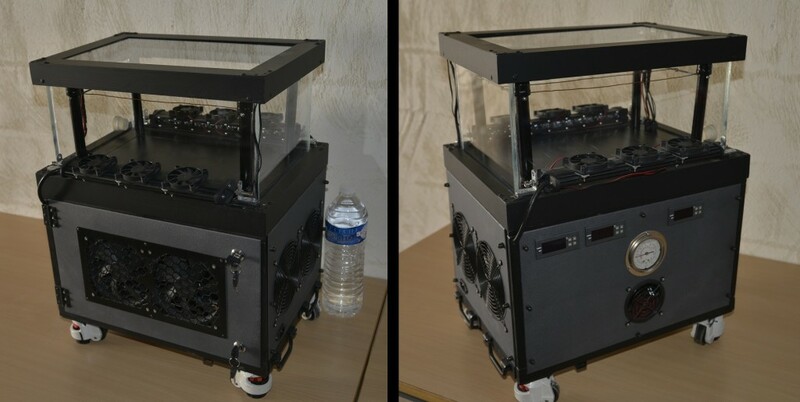 You can make in this machine the same experiments presented in the little thermoelectric cloud chamber. Please consider that it’s only a prototype, and it need more works to improve the design. Concerning the price, it will be in the 4500 € range. To be honest I have to precise that I can’t make cloud chamber at this moment (important working). 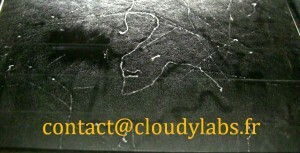 If you are really interested to get a cloud chamber and not in hurry, you can mail me below. Build time is about 24 to 36 months.